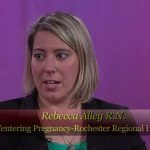 Join Nancy Miltsch, a registered nurse and Certified Child Birth Educator for Via Health in Rochester, New York as she discusses what to expect in Pre-Natal Classes. Time 30 minutes. 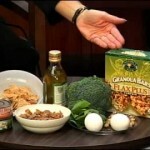 Pre-pregnancy – Nutrition – If you’re thinking about having a baby, you’ll want to hear these tips on nutrition that can help. Join host Katherine Ippolito as she interviews Karen Gesell, both Registered Dieticians with the Genesee Dietetic Association. In this easy-to-follow question and answer format they explore a number of topics including; “What are some things I should be concerned with if I’m trying to become pregnant?” – How does healthy eating fit into a healthy lifestyle for anyone considering having a baby?” and “What vitamins should I be taking?” (13 minutes) Special thanks to Bob Muir for post-production.